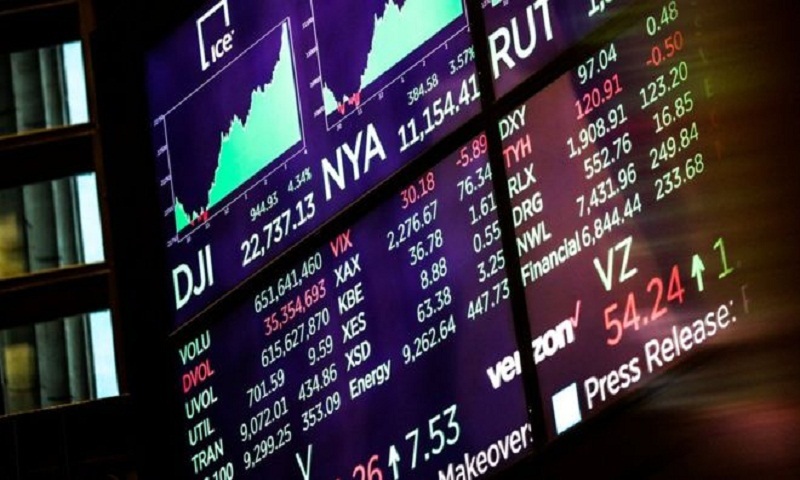 Stock markets in the US have seen significant rises, with the Dow Jones up by nearly 5% and the technology-focused Nasdaq rising by nearly 6%. In Asia, markets were following suit on Thursday, with Japan's Nikkei 225 up more than 3% in early trade. It contrasts strongly with the run-up to Christmas when stocks suffered their worst weekly falls in a decade. Analysts say data from MasterCard showed US holiday retail sales up 5.1%, the strongest growth in six years. Confidence was also boosted by White House assurances that Federal Reserve chairman Jerome Powell's job was safe. Investors have been concerned by reports that President Donald Trump had discussed firing Mr Powell. The partial US government shutdown and continuing US-China trade tensions also contributed to the recent downturn. "The market is extremely oversold where we left it [on Monday]," said Brett Ewing, chief market strategist at First Franklin Financial Services, based in Florida. "You cannot make the assumption that this correction is over, but today's action is definitely a very positive signal." On Monday, President Trump lashed out at the Federal Reserve, the US central bank, as the stock market plunged. The president said the Fed was "the only problem" of the US economy. White House economic adviser Kevin Hassett later tried to calm Wall Street jitters, telling ABC News that Mr Powell's job was "100%" safe.